Got dinner plans? Whether you do or you don’t, you’ll love this recipe. 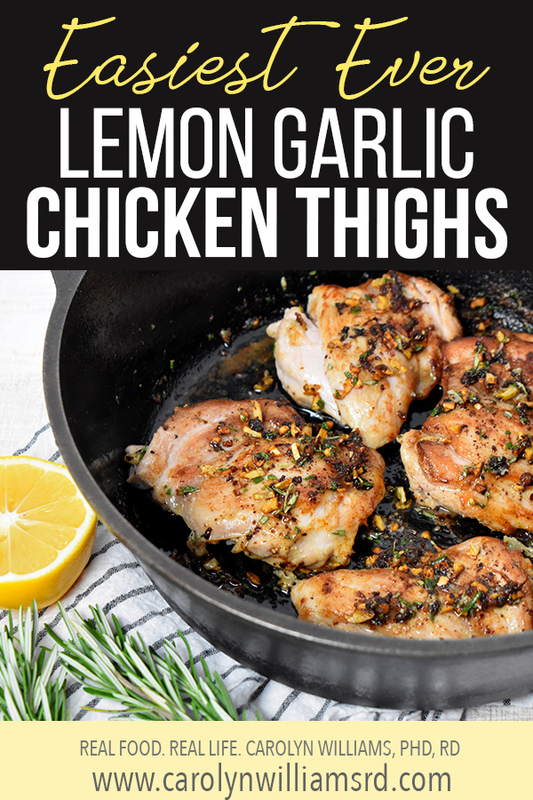 These quick chicken thighs take less than 20 minutes to make and are a hit with the whole family. This is one of the recipes included in the 4-week Menu Plan that Amanda Nighbert and I created. The menu plan coordinates with Amanda’s LEAN program, but it’s ALSO a great resource for those wanting lower carb meal ideas that use whole foods. The meal plan offers different meal ideas each week and simplifies planning by giving serving and side dishes ideas family-friendly dinners. No longer are the days of preparing a meal for yourself AND for your family — the entire family will love these meals! Interested in learning more about the 4-week Menu Plan? Head over to Amanda’s website to learn more and register for the LEAN program. Next rounds start Jan 7th and Jan 21st! Let me know what you think of this recipe by sharing your final product on social media! Be sure to tag me : Instagram @realfoodreallife_rd / Facebook @Real Food. Real Life. - Carolyn Williams, PHD, RD. Sprinkle the chicken on both sides with sea salt and pepper. Heat 1 tablespoon butter over in a large heavy or cast-iron skillet over medium-high heat. Add chicken to hot skillet; cook 4 minutes or until lightly browned. Turn chicken; cook 2 minutes. Reduce heat to medium, and cook 2 to 3 additional minutes or until cooked. 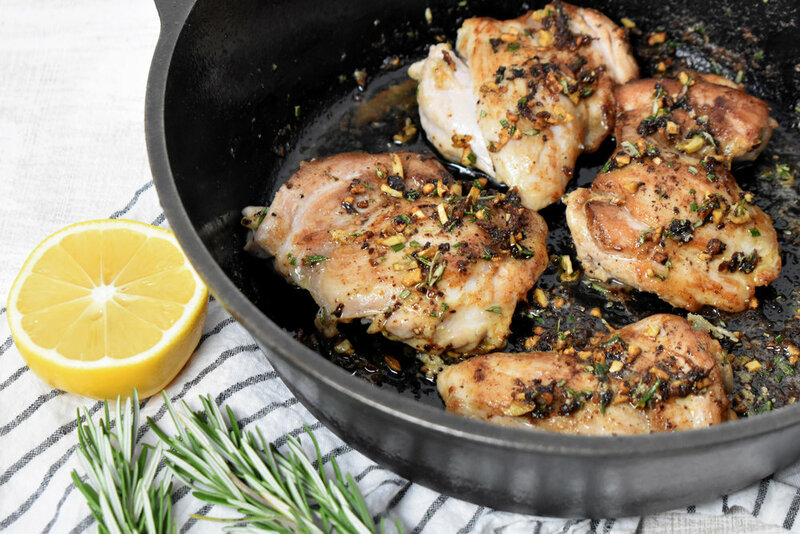 Remove chicken from skillet. Add lemon juice, broth, garlic and remaining 1 Tbsp butter to the skillet. 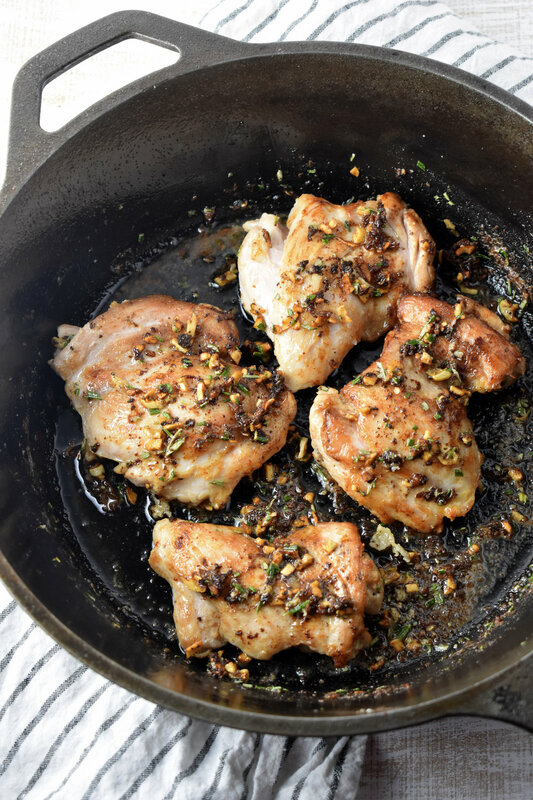 Reduce heat to low; cook one minutes, stirring occasionally to loosen browned bits of chicken from bottom of skillet. Add rosemary and cornstarch, if desired, and cook 1 minute or slightly thickened. Return chicken to skillet; remove from heat. Spoon sauce over chicken. Serve over hot, cooked pasta and steamed or roasted broccoli.